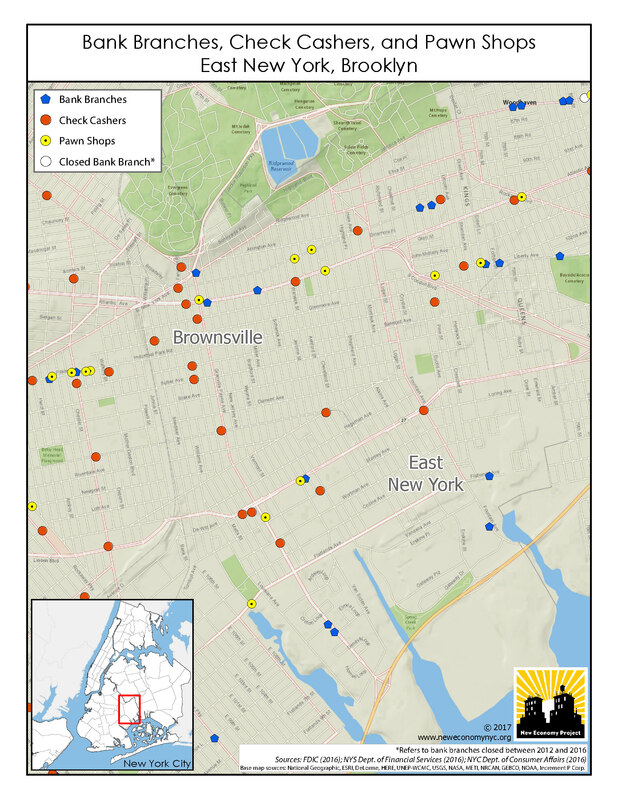 New Economy Project produces a series of maps showing disparities in financial services access across NYC neighborhoods. The maps reveal high concentrations of bank branches in majority white neighborhoods, and their virtual absence in communities of color. In communities of color, including middle income neighborhoods, check cashers and pawn shops (among other non-bank, high-cost services) vastly outnumber banks. 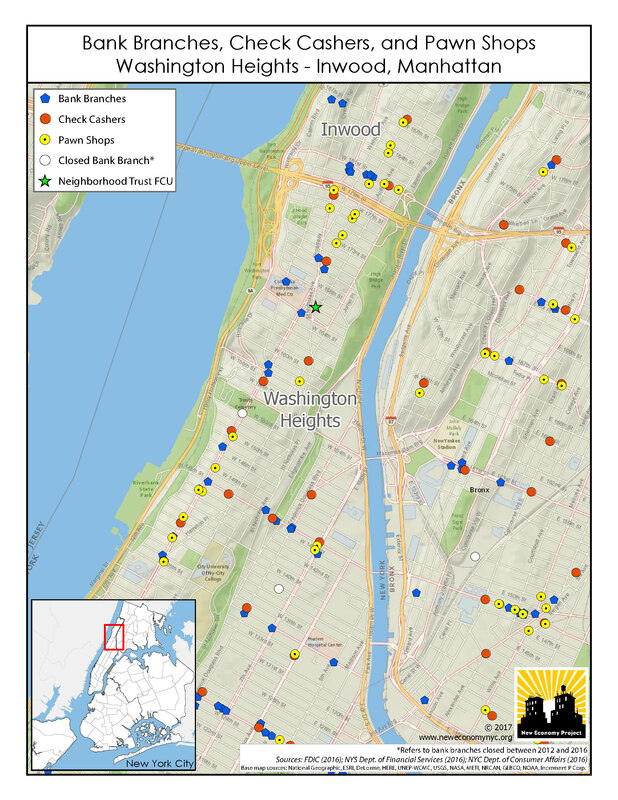 The maps also document bank branches that have closed; and show the presence of community development credit unions in several redlined neighborhoods. 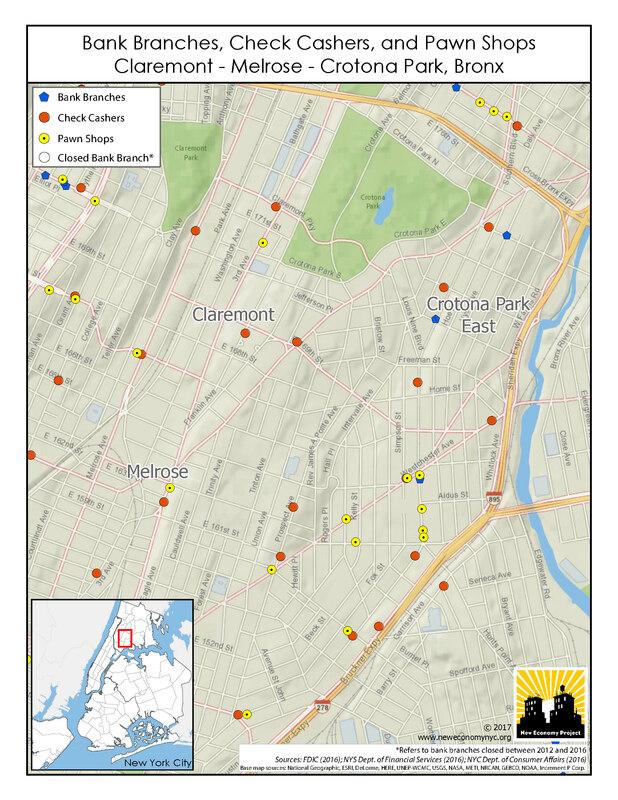 Contact us to request a map of your community district.